One of our favorite things to do is have our bride and groom head outside at night for some unique wedding images. This image was taken in downtown Raleigh of our wonderful couple Sally & Clayton. We love how the street lights surround them with the Capitol building just behind them. We added a pop of flash behind them to make them stand off the backdrop, and they provided the very sweet love and affection. Downtown Raleigh along Fayetteville Street is perfect for night time wedding images, with all of the street lights and buildings provided extra pockets of light. 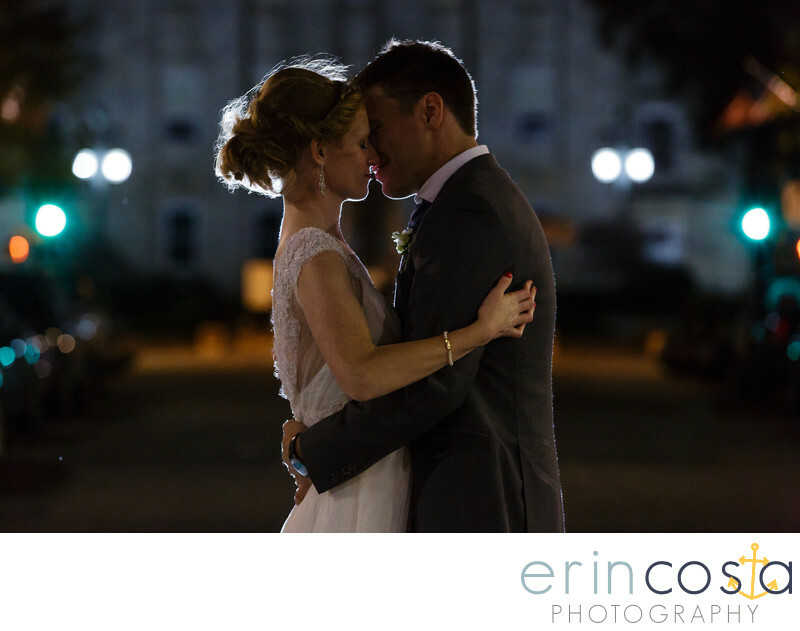 Having your downtown Raleigh wedding photos captured at night is truly an experience we recommend!